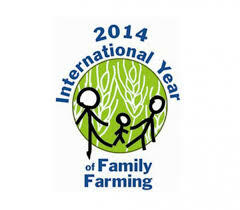 The naming of 2014 as the International Year of Family Farming is good news, especially in times of obesity epidemic and processed food scandals. Hopefully, it will offer opportunities for change and for collaboration between the Food and Agriculture Organization of the United Nations (FAO) and Slow Food. And today’s recipe is an homage to the land of Petrini (and mine). 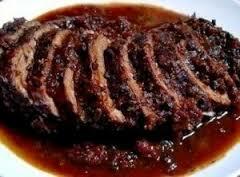 Brasato al Barolo (Beef braised in Barolo wine), an exceptional and elegant dish from Piedmont. First prepare the marinade. Mix all the ingredients in an earthenware pot or a bowl, add half the bottle of red wine and place the meat in it. Leave to marinate for 24 hours, turning the meat over as often as you can remember. Unless the weather is hot, do not put the bowl in the refrigerator. A larder or a garden shed is the ideal place. Take the meat out of the marinade, dry it very thoroughly and tie it into a neat oblong shape. Put 2 tablespoons of the oil in a heavy frying pan and, when the oil is hot, slip in the meat and brown very well on all sides, and the two ends, over high heat. Transfer the meat to a side plate. Strain the marinade and add to the frying pan. Deglaze for a minute or two, scraping the bottom of the pan with a metal spoon to release all the delicious bits. Put the onion, garlic, parsley, sage, celery, remaining oil and half the butter into an oval casserole large enough to hold the meat comfortably but snugly. Put the casserole on the heat and sauté for 5 to 7 minutes, stirring frequently. Place the meat on the bed of vegetables; add the strained wine of the marinade plus the remaining half bottle of wine and 1 teaspoon of salt. Bring slowly to the boil. Cover the pan with a tight lid and transfer to the oven. Cook for 1 ½ hours. Keep a watch on the meat: it should cook at a steady low simmer. Turn the meat over 3 or 4 times. Sprinkle with the sugar and continue cooking, always tightly covered, for a further 1 ½ hours until the meat is very tender. Transfer the meat to a chopping board and allow to cool a little, while you make the sauce. Scoop the cooking vegetables and juices into the bowl of a food processor and whiz to a smooth soft purée. Pour this into a small saucepan and place on a low heat. Add the butter, bit by bit, shaking the pan after each addition. When all the butter has been added and has melted into the sauce, taste and check seasoning. Carve the meat into thick slices (no less than 1 cm/1/2in) and surround the slices with the velvety winey sauce.